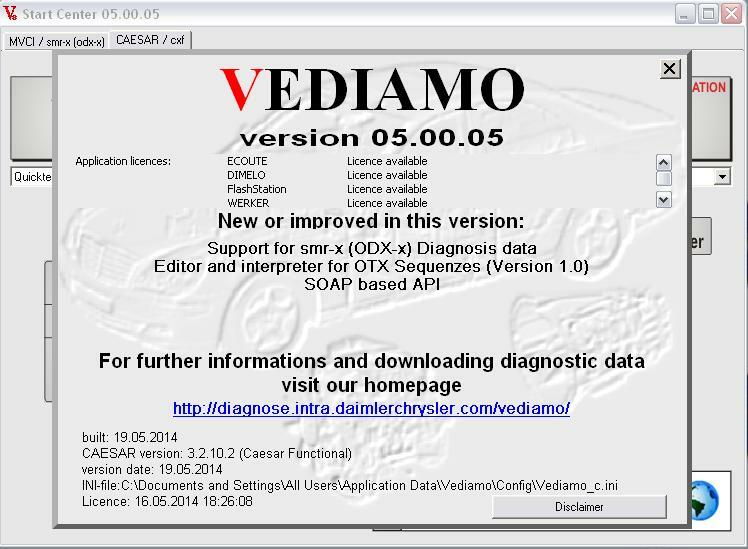 Vediamo v05.00.05 FREE Activations for obd2 Members! Re: Vediamo v05.00.05 FREE Activations for obd2 Members! CAN I GET THE ACTIVATION KEY PLEASE. Can I please get the key . Really need it for an urgent fix . Please help ! Here you can download "Vediamo v05.00.05" and "Patch"
2.Download "Patch" and replace all files in: "C:\Program Files\Vediamo\BIN"
Can you give me a Key Please? 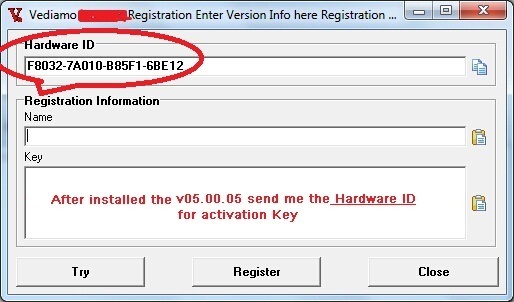 You got one activation key! Hello,Please help with the key. TurboTec wrote: Hello,Please help with the key. can someone help me with the key?